Released November 18, 2014 on Limited Fanfare (LFR-027). Cassette tape includes bonus track, “Rhyme Mind”. Physical from Bandcamp (Ltd Ed. CD); KoolKat Music (CD); Amazon (CD). Indie pop-rock outfit Ex Norwegian broke onto the scene in 2008 with the sun-drenched, effortlessly hummable Something Unreal. Despite various obstacles, including a six-month disbandment and numerous line-up modifications, the Miami-based ensemble, led by Roger Houdaille, has persevered with their refreshing brand of quirky, infectious and multifarious pop, releasing four albums along the way. The release of their fifth studio album Wasted Lines introduces us to the newest addition to the group, singer Lucia Perez, and is replete with tracks as memorable as their first single. 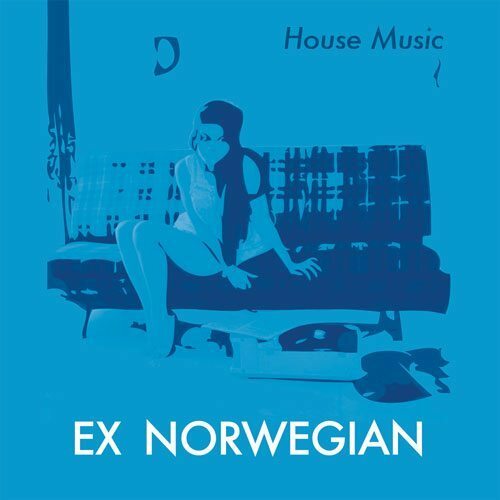 The fact that Perez is a very recent addition to Ex Norwegian seems redundant from the album’s outset. She opens Wasted Lines with the confidence and synergy of a childhood friend. CheepCheep is a magnetic track, whose 1960s doo-wop charm is interrupted intermittently by hard-hitting, gravelly guitar breaks, introducing us to that quintessential amalgam of sonic influences that makes Ex Norwegian so appealing. Be There continues in a similar vein, switching between a breezy beach sound and 90s grunge, which culminates in effective and self-assured power pop. The initially shadowy chorus is later joined by a funky guitar riff, subtly altering its accompanying harmony; the re-harmonisation of the hook the second time we hear it is a nuance characteristic of Houdaille’s song-writing. Much Rooms and Unstoppable explore a psychedelic, guitar-heavy sound. 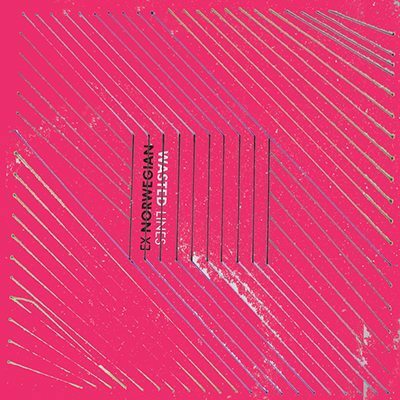 Complete with background chorus, delayed vocals and lo-fi, edgy production, the tracks symbolise an adventurous departure from Ex Norwegian’s earlier, more polished sounds. While the buoyant, glittery guitar chords played over a minor scalic passage at All The Time’s beginning embody the band’s multifaceted approach to pop music. This play between minor and major is accompanied by a beautiful collaboration between Perez and Houdaille’s voices. The exciting modal song writing continues with It’s Too Late. One of the album’s standout tracks, it uses harmonic structures uncommon in pop music that are quirky while still remaining completely accessible. Love Is closes the album with a beautiful chorus that underpins Perez’s voice, which turns out to be the perfect fit for the ensemble. Wasted Lines is full of simple, effective rock hooks and endearing pop sensibility, framed with unexpected harmonic alternatives, and an exploration into edgier production choices. There’s a real likability that derives from their wide range of influences, an eclectic mix of power pop, rock and roll, psychedelic and 1960s blue-eyed doo-wop, and no holds barred creativity. The fifth full-length release from one of the world’s best pop bands: Miami, Florida’s Ex Norwegian. Once again bandleader Roger Houdaille has come up with a killer batch of ultra-catchy upbeat pop songs that should appeal to just about anyone who loves gripping smart guitar-driven music. The first thing that fans will notice about this album in relation to past releases is that it features newcomer Lucia Perez on lead vocals. Ms. Perez has a cool smooth voice that fits in perfectly with these new Ex Norwegian tracks. Each and every cut here is a keeper but our initial favorites include “CheepCheep,” “Much Rooms,” “You Could Be Someone,” and “Unfair To Compare.” Produced by Houdaille and Fernando Perdomo (another excellent artist whose music we highly recommend), Wasted Lines is yet another resounding success…as well as another solid addition to the band’s catalog. We have to admit that we miss hearing Roger on lead vocals at times just because we’ve loved hearing his voice so much in the past. So we’re hoping that future releases might include both Lucia and Roger trading off on lead vocals. This CD is only being offered in a limited edition run of 200 so if you miss out you can still download these cool tracks off the internet. In addition to this album, the band has also released a handful of CD-R singles (also available as downloads) as well as a DVD featuring a whole slew of alternate mixes and videos. This band has once again hit the target dead center… TOP PICK. The first song is swiftly stamping its rhythmic and riff wrapped feet with an almost glam rock swagger before being joined by great heavy basslines and the pop fuelled revelry of Perez’s voice. 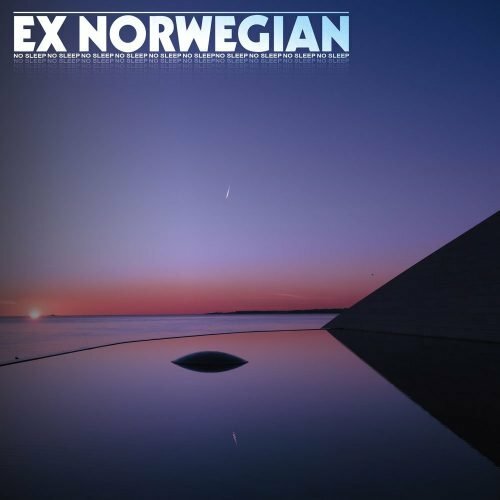 Ex-Norwegian coverThe song bounces around but with hints of an explosive nature which intermittently erupts with a raw and fuzzy blaze of guitar. Managing to be clean cut pop and dirty rock ‘n’ roll simultaneously, it is an infectious start to the album and a tasty appetiser for the following Be There and its sultry climate. Like a mix of Blood Red Shoes and Metric aligned to a great funk seeded, the track flickers and seduces like a fire. Its touch is hot and magnetic, especially with the alluring bedlamic mix of noises which frequent its body and the great contrasting moments seeing a union of vocals between Perez and Houdaille. In sunnier Miami climes, Ex-Norwegian [sic] are playing looser with tradition on their latest and fifth full-length Wasted Lines, the first to feature new singer Lucia Perez alongside Roger Houdaille – an inspired choice given a sumptuously louche prevailing vocal tone. At the heart of their sound is a healthy leaning towards angular, jagged power-pop a la Franz Ferdinand, but it’s a myriad of infusions around that spine that really sets the group apart; whether it’s mazing, unpredictable structures, a squalling injection of synth or a caterwauling attack of stoner-rock guitars, every track has its own abundance to boast, and as an album it’s one hell of a listen. Colchester’s Gundam, meanwhile, is heading a surge in a budding r’n’g scene (that’s rhythm and grime) with his audacious debut album Flirtation. Taking the already resurgent demand for contemporary R&B and taking it to the chopping room floor, on paper it’s little more than a mangled collision of terse vocal samples, tumbling drums and uncompromising electronics, yet amidst that madness there’s just something that works, admittedly perhaps not across a whole album – it’s an act performed better on some of the ten tracks and perhaps lacking much sense of progression, yet at its best feels both bizarrely beguiling and utterly fresh. Nevertheless, it’s the truly innovative artist that can defy expectations and reinvent him or herself in ways that entices the listener and occasionally catches them off-guard. Not enough to baffle them completely, mind you (unless you’re Bowie or Neil Young, and then only sometimes), but rather to add just enough intrigue to keep audiences interested. Wasted Lines, Ex Norwegian’s fifth album in six years — and second with esteemed local label Limited Fanfare Records — finds them abiding by this axiom, shifting ever so slightly from the pop perfect sound they minted early on and into an edgy insurgent one reminiscent of Blondie, the New Pornographers, Siouxsie and the Banshees, and other indie auteurs. Songs such as “Much Rooms,” “All the Time,” and “Only the Clues” show the group taking a bolder stance. The addition of new singer Lucia Perez adds another dimension also, one that promises to make this change in direction more than merely a temporary reset. On the eve of the album’s release, we caught up with Houdaille and asked him to elaborate on the new motif. Roger Houdaille: There’s an element of freedom and fun in the new songs that wasn’t around for a while, thanks to the recent changes and direction Ex Norwegian has taken. Of course, each individual song has its own inspiration. But I’m always writing, and this being that this is our fifth full length album, I think that shows! We recorded about 30 songs and eleven made the final cut. The idea was to have a great, cohesive sounding record. The debate on the validity of the album format in the new digital world goes on, and while I’m not exactly a pro-album activist, it made sense to think in those terms for this one. As a result, we had to leave a couple of our more commercial tracks off! Those are earmarked for single releases, and almost the whole bunch of tracks that didn’t make the record are still being released via our deluxe edition that’s available only directly from the band. It’s funny how it ended up that way, as it actually started with the intention of being the complete opposite – the most polished and commercial album yet! Working closely with co-producer Fernando Perdomo did change things up a bit, but I think what really did it was that as time went on and the mixing budget depleted, I ended up mixing the record myself and got a little creative. No attempts were made to copy our previous sound and instead I opted for a more lo-fi, edgier approach. Vocals are treated with delays and echoes and even distortions. And so are the instruments! I was listening with headphones just the other night and I was blown away. There’s a lot of ear candy. Maybe too much at times I will admit, but hopefully our ADD listeners will appreciate it. The irony is beautiful too, in that here is Lucia with the most commercial and accessible voice Ex Norwegian has ever featured, and it’s on the most adventurous and edgy album we’ve done. It was at one of our shows. Her friend told me she sang and that I should try her out. Before we knew it, we were working on new material, playing shows, recording out in Los Angeles, performing live on national television… and yet Lucia had never sang in public before! It really is quite crazy looking back. This all happened in a span of like five months; it’s only been a year since we teamed up. It all happened at the right time too, just as it appeared the old Ex Norwegian’s days were numbered. Brian, our manager, is the man behind Limited Fanfare Records. We had put out last year’s album Crack and the single “Feelin’ It” on the label, and so it made sense to keep working together with Wasted Lines. The thing with Ex Norwegian is that it’s always been incredibly DIY. I don’t like the idea of just shipping out an album to a label I don’t personally know well and don’t have anything to do with it. I like to be involved in working it. What’s the plan for the band now? Si he de ser completamente sincero, para este quinto álbum de Ex Norwegian me imaginaba que después de sus constantes cambios de formación y de la inclusión sorpresiva de Lucia Perez (lo pondré sin tildes, que la chica es de Florida) en tareas de lead vocals, la banda de Roger Haudaille no presentaría demasiados argumentos favorables para un aprobado en una valoración objetiva. Pero he de reconocer que me equivoqué de pleno: aún sin presentar rasgos especialmente novedosos, Wasted Lines es un trabajo que atrapa desde el principio, se pasa en un suspiro, y en él nos volvemos a encontrar rasgos sonoros ya conocidos en discos anteriores de los de Florida. Haudaille es un buen compositor. Conoce como nadie los secretos del Power-Pop, y esos guiños los combina perfectamente con rasgos del Grunge, del Indie. 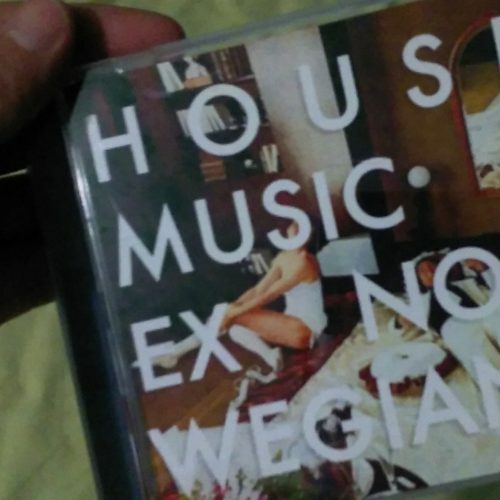 algún pequeño aderezo Psicodélico e incluso del Disco. El resultado es un disco en el que el listón no baja demasiado durante todo él. Comienzo fulgurante con Cheep Cheep (me encantan los estribillos y títulos de canciones con onomatopeyas), Be there, Much rooms y Unstoppable. Ahí podemos encontrarnos y resumir perfectamente todos los rasgos sonoros de los que hablaba anteriormente reflejados en canciones Pop de una media de tres minutos. Toda una lección de cómo construir buenos temas en la órbita Pop. Como decía, el listón no baja demasiado a partir de ahí, y encontramos cortes como All the time, First time, It´s too late… que mantienen un nivel de notable y una sensación de frescura que normalmente no encontramos en el quinto álbum de un grupo con cierto bagaje. Para rematar, la épica Unfair to compare y la más acústica Love is, todo un alegato de intenciones y declaración de sentimientos. Wasted Lines es un trabajo efectivo, muy resultón y absolutamente fresco. Un disco a descubrir para un grupo que no aparece en Pitchfork y no demasiado reconocido por estas latitudes.